The ruling APGA will be facing stern contest from big names like the PDP and APC, among other political parties that could spring surprises. The days are drawing nigh, security is being beefed up and INEC is putting finishing touches to preparation for Saturday’s governorship election in Anambra state. 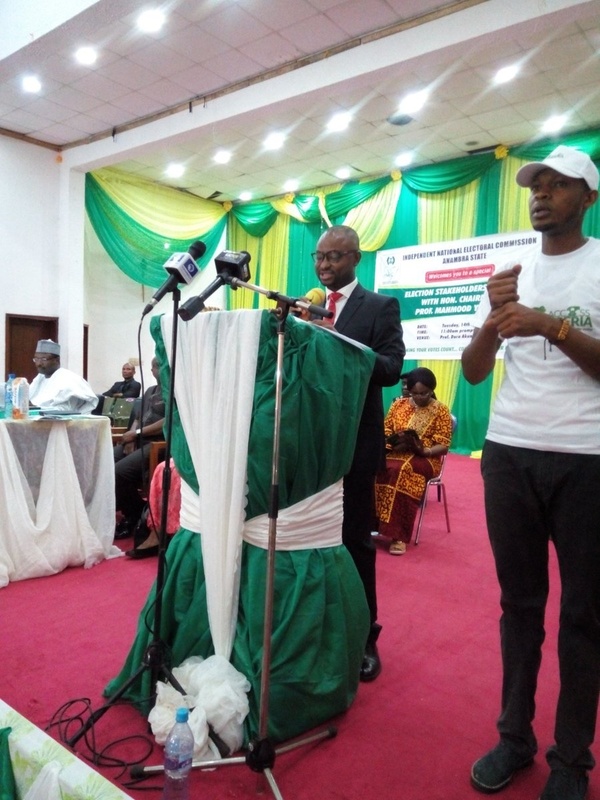 The Independent National Electoral Commission (INEC) held a Stakeholders Forum at the state capital in Awka on Tuesday, and reeled out some figures. Anambra State INEC Resident Electoral Commissioner, Dr. Nwachukwu Orji explained that in line with the electoral law, the Commission published the register of Voters for Anambra State containing 2,158,171 registered voters. As at November 13, the commission said it has issued a total of 94,256 Permanent Voters Cards (PVCs) out of a total of 308,725 PVCs available for collection. The last date for collection is 15th November 2017. INEC says it has established 4,608 polling units and 731 voting points where registered voters in the state will cast their votes. Orji revealed that the Commission has recruited and trained more than 23,000 ad-hoc staff to serve as poll officials for the Anambra election. On Wednesday, 15 November 2017, sensitive materials will arrive the state, and the materials will be moved to the Local Government Areas the following day.